It is always a fantastic feeling to see my work online. It's even better when it is on the newsstand, which is why I'm honored to have a piece in this week's edition of Sports Illustrated. Last fall was my first time writing for SI and it was a fantastic experience. For Memorial Day, it was more of the same. The piece covers my take on Memorial Day grilling and tips to conquer the grates this summer. 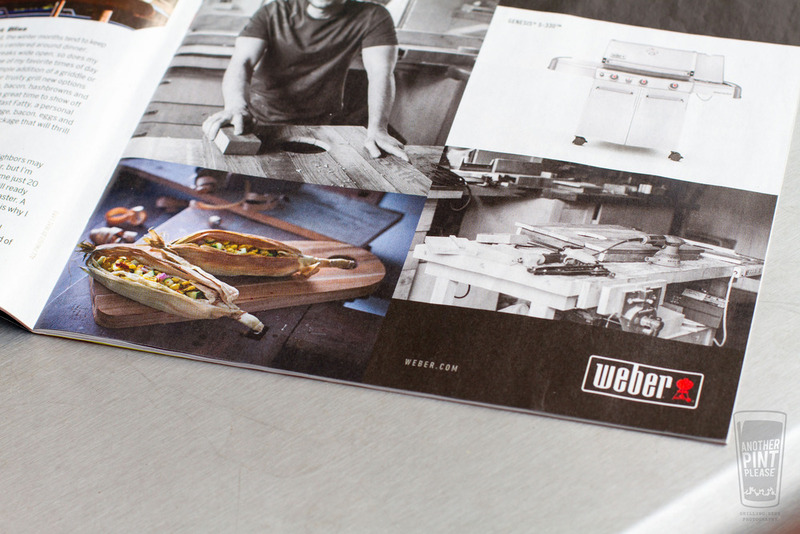 As a special treat, Weber ran an ad on the facing page. Coming off the Genesis grill campaign, the ad featured food Kelsey and I grilled on the shoot. For a Genesis testimonial, it doesn't get any more real. SI featured my recipe for pork tenderloin sliders, which is a variation of the recipe I previously made for the Q. It's an efficient crowd pleaser. Making a bunch of small burgers can be a pain. Grilling a few tenderloins is effortless. While only mentioned in passing, the article also touches on the magic known as the Breakfast Fatty. The recipe and process didn't make it to print, but my post on it can be found here. They are a devilish treat. It is an honor to write for such a major periodical as Sports Illustrated, especially knowing how my 7th grade English stunted my understanding of grammar. That said, if you told me when APP started years ago it would lead to a feat such as this, I would have never believed you. Never doubt what passion can accomplish.